The Giant Stride of NCAM towards Food Security in Nigeria, 27 September 2017. Out-scalling Smart-valleys to boost rice productivity, AfricaRice 2016 Annual Report published in 2018. Sawah Technology for Rehabilitating the rice sector in post-conflict countries of Liberia and Sierra Leone, AfricaRice 2015 Annual Report published in 2016. A SMART choice for Africa’s inland-valley rice farmers. Rice Today, published by IRRI, Mar 2, 2016. (Book) "Proceedings of the First International Workshop on Sawah Eco-technology and Rice Farming in Sub-Saharan Africa," 22nd-24th Nov. 2011, Kumasi, Ghana. (Presentation) Wakatsuki T., Multi functionality of Sawah system: why Sawah based rice farming is critical for Africa's Green revolution? SMART IV kickoff workshop, 16-17th August 2010, Africa Rice, Cotonou. (Presentation) Wakatsuki T., Buri M.M., Bam R.K., Oladele O.I. and Ademiluyi Y.S., Farmers' personal irrigated sawah systems to realize the green revolution and Africa's rice potential. SMART IV kickoff workshop, 16-17th August 2010, Africa Rice, Cotonou. 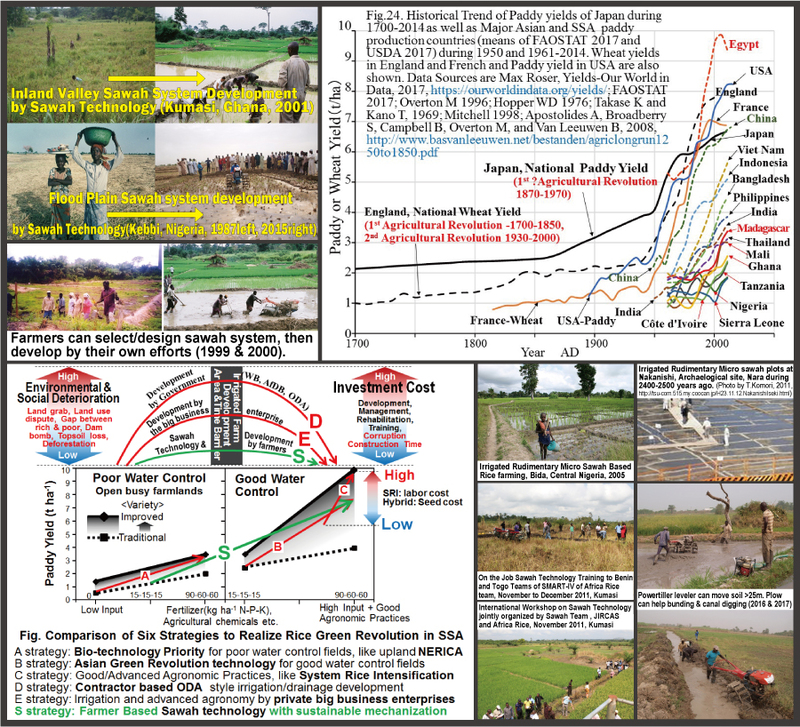 (Presentation) Buri M.M., Abe S., Issaka R.N., Kiepe P., Wakatsuki T., Kawano N. and Fujimoto N., Soil fertility potential for rice production in West African lowlands. SMART IV kickoff workshop, 16-17th August 2010, Africa Rice, Cotonou. (Book) Proceedings of the International Workshop on Integrated Watershed Management of Inland Valley-Ecotechnology Approach, 6th-8th February 2001, Novotel Accra, Ghana. JSPS Grants-in-Aid: A Crucial Source for Continuing My Suiden Sawah Research in Africa over 28 Years, KAKENHI Essay Series, No.62, March 2014. Presentation at the 1st Africa Rice Congress, 31 July to 4 August 2006, Dar es Salaam, Tanzania. (Book) Hsieh Sung-Ching, "Agricultural Technology Transfer to Developing Countries". National Pingtung University of Science and Technology Press, 2003. (Book) "Restoration of Inland Valley Ecosystems in West Africa", Edited by Shohei HIROSE and Toshiyuki WAKATSUKI, Association of Agriculture & Forestry Statistics, 2002. When you use this e-mail address, please replace "◆" with "@".